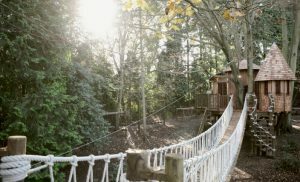 Blue Forest was commissioned to build a unique treehouse and children’s play area in Surrey. 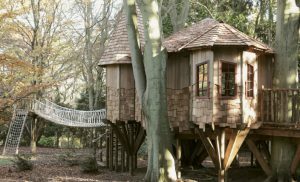 Like the famous tale it pays homage to, the Sleepy Hollow Tree House has a clear gothic influence both in build and functionality. It is an adventurous play area, a hideaway for sleepovers and a retreat in the woodland that is perfect for the whole family. The Sleepy Hollow Tree House features gothic styling inspired by its namesake. 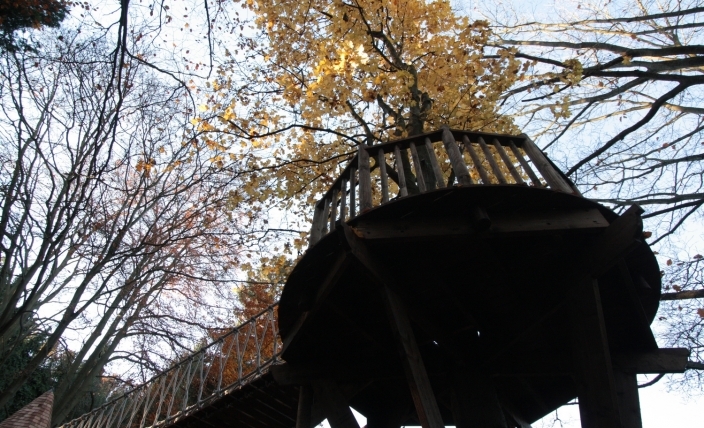 The Sleepy Hollow Tree House takes its name from the classic American short story of the same name. When the gothic tale was reimagined for the big screen in 1999, it centred the story on a forest of gnarled trees and haunting figures. 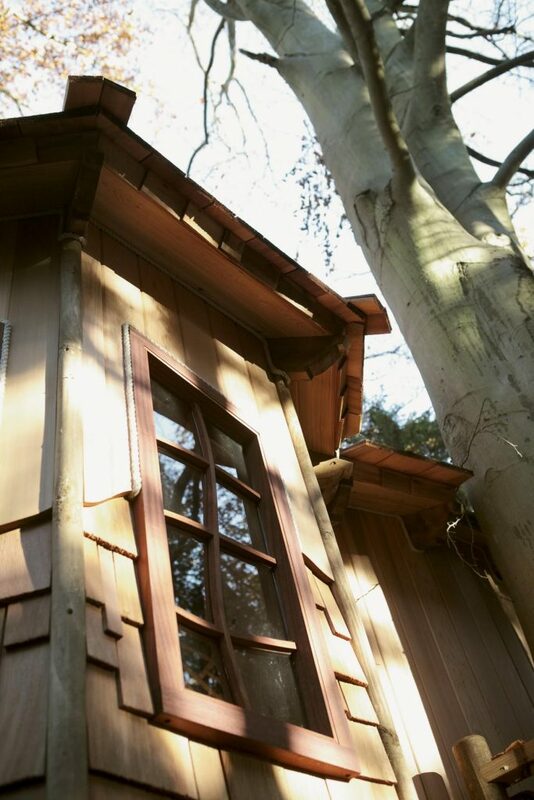 Nestled in a small patch of woodland, the Sleepy Hollow Tree House lives up to its name with uniquely shaped windows and irregular turrets. With its purposefully warped shapes and elongated visuals, the Sleepy Hollow Tree House conjures classic gothic imagery throughout. 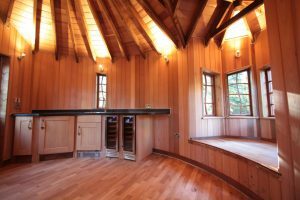 This haunted style is carried over into the three differently shaped roofs. While the central, and largest roof comes to a low point, the tower on the side extends into a sharper cone. 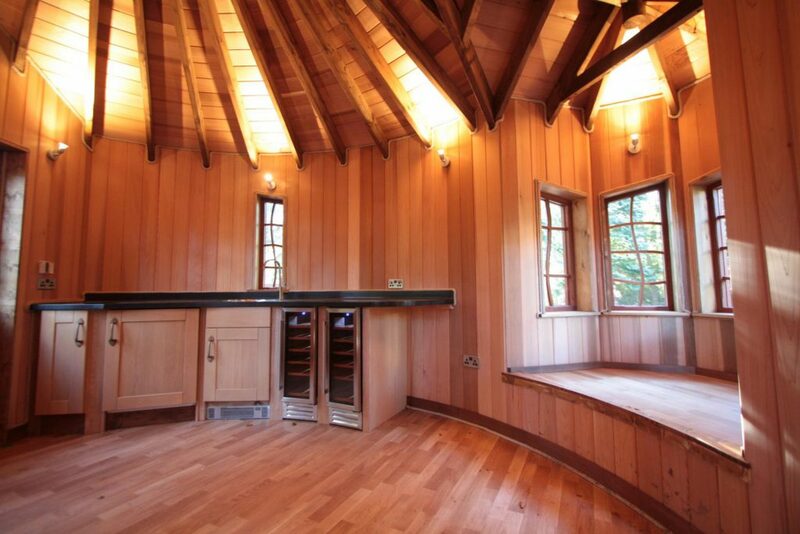 The third and final roof on the turret extends tall and thin, like a witches’ hat. 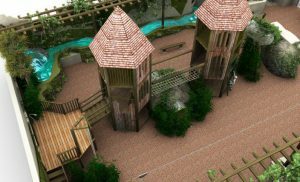 Combined with the mixed panelling of the upper exterior walls and lower shingles, the towers give the treehouse scale and size. 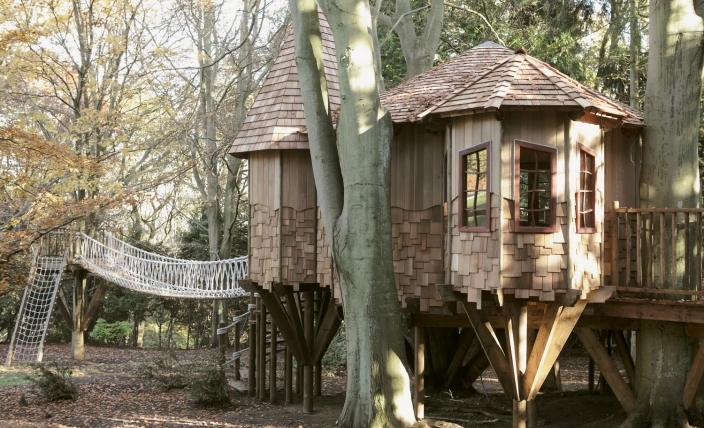 The main treehouse building is the focal point of this play area. All around the outside are a variety of bespoke play items to keep the kids entertained for hours. In addition to the scrambling rope; a more adventurous entrance than the conventional stairs, there is a tarzan swing, a rockwall, wobble bridge, zip wire, a slide and monkey bars ensuring the fun won’t end until their energy runs out. The kitchenette is perfect for sleepovers and keeping the grownups supplied while the kids play. 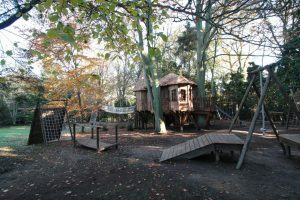 With such a generous play area outside sure to keep children distracted for hours, there needs to be a complementary space for the adults keeping an eye out to rest comfortably. 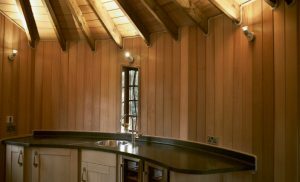 In the Sleepy Hollow Tree House, that space is a modern kitchenette with chillers, bottle fridge and preparation area with sink. 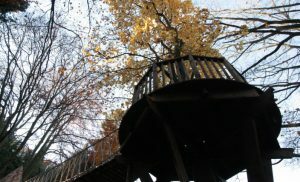 For sleepovers or family gatherings, the open plan treehouse provides plenty of room to set up dens, forts or camp beds. And for those not yet overcome by sleep, a cosy alcove under the windows is an ideal perch to read a book or sit and watch the wildlife! 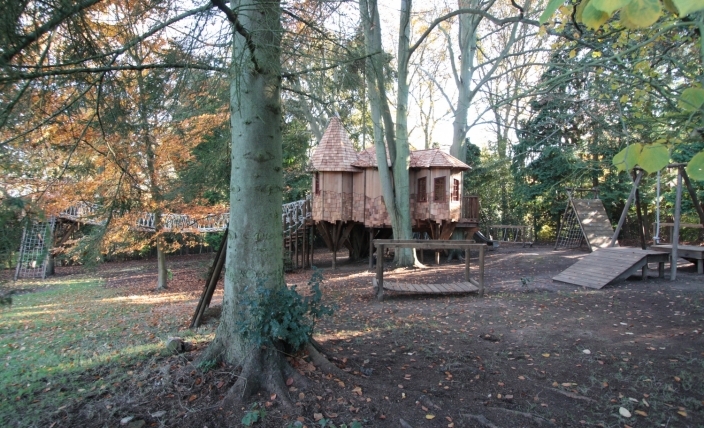 Scott Dunn are taking a leading role in recreation and childcare within the hotel sector. Through the ‘Our Space’ brand they provide design and operation solutions for hotel developers who are looking to cater for this important market. 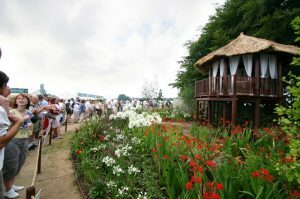 Blue Forest was approached by Ms Louise Ward and Ms Lucy Hunter, for their cooperation with the design and construction of a treehouse for their proposed show garden at the RHS Flower Show at Tatton Park.